If Wii Sports’ gesture controlled club swinging has grown old for you, the more in-depth game offered in Hudson’s Power Golf might be of interest. There are three modes of play on offer here: stroke play is for a solo player, match play lets you take on a friend, and competition play allows for two to three players. 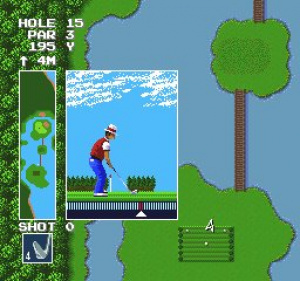 When the game is in action you get a nice scrolling overhead view of the course before making your shot. You cannot pan the camera around the course freely after this time, however you do get an on-screen guide to show you the layout of the course at all times. To make your shot, select between the different clubs by pressing up/down on the D-pad. The direction of your shot can be set by moving left/right. Upon pressing the action button a power meter will appear to determine the strength of your shot. When you press the action button again a slider arrow moves quickly to the left, the further left it goes the more powerful the shot. In the blink of an eye the arrow then whizzes to the right where you have to press the action button again within the ‘sweet spot’ to determine how accurate your shot is. The implementation of the power meter control set up is fairly standard for a game of this time however the slider moves so quickly that it is more down to luck if you hit the sweet spot or not. If you miss this by even a millisecond your ball will career way off course. It doesn’t help that each club makes the slider speed move at a different rate. This is really Power Golf’s undoing. NES Tournament Golf’s control system is much more fair, and as a result is a much less frustrating experience as it allows you to just concentrate on the shot you want to make. 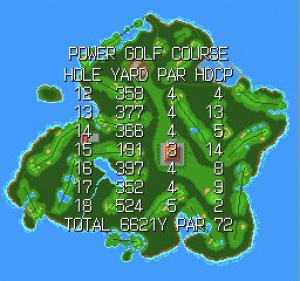 The visuals in Power Golf are nice and well detailed, but the frustration factor ruins it. 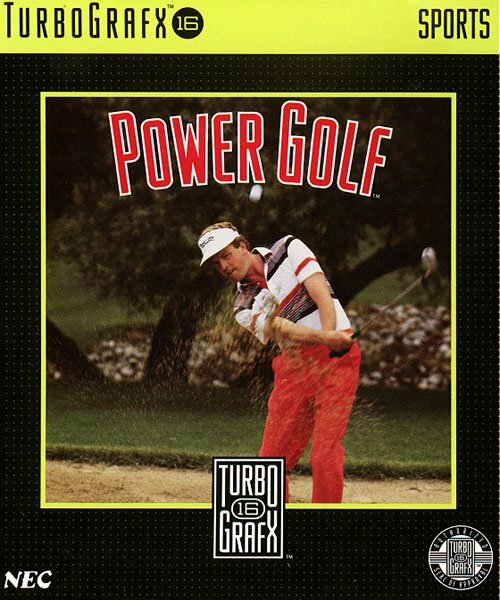 When compared to its peers such as EA’s PGA tour series on the Megadrive/Genesis, which are still excellent fun even today, Power Golf feels like a bit of a double bogey!